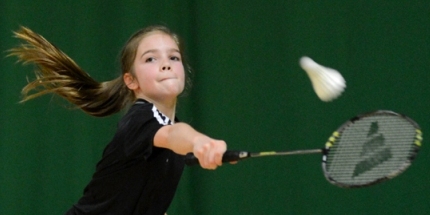 Ash Manor Sports Centre has a wide variety of facilities for the whole family to enjoy during term time and state school holidays with a huge array of sports and fun activities for children of all ages. Read on for more information. Bounce your way to happiness with our fully qualified Farnborough Flyers Trampoline Club Coaches, and learn new skills and techniques in the process! Does your child love jazz hands, musical theatre and performance? They will love this workshop mix! Join us for an action packed morning of various sports such as; Badminton, Table Tennis, Short Tennis, Basketball, Football and more! Boogie to much loved songs from the hit movies and enjoy themed dance games! Want to have it all? Dance, Combat, Acro & Circus skills – all in one workshop. Children have so much fun they don’t want to leave! Relax and unwind in our introduction to Yoga, Pilates and mindfulness. Build core stability, resistance and toning, improve posture and well-being, as well as learn new skills. The use of fairy lights and scents will create an ambience that will ensure you can relieve stress, recharge and leave feeling energised. Our ‘Glow in the Dark’ fitness class to the sound of funky tunes, disco lights and aerobic moves will no doubt set you up for the weekend ahead. This cardiovascular workout will also increase your energy levels, muscle tone and strength, endurance and flexibility. Glow in the Dark Disco lights and glow sticks provided in class to addto the fun. Birthday parties to suit you! Jump around with your friends at a truly hair raising party. Our qualified coach will show you and your party some basic bounces and then leap into some games and of course the birthday bumps! Max. 10 children aged 6-14 years. 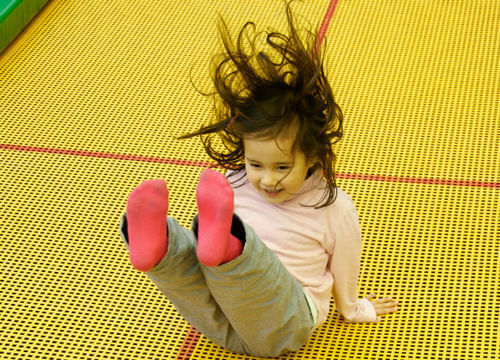 Trampolining for one hour with the option to have an extra hour in the foodhall afterwards. Solo and team games followed by either a match or mini tournament, finishing off with a penalty shootout. Max. 20 children aged 5-11 years. One parent must stay for the durationof the party. Football for one hour with the option to have an extra hour in the food hall afterwards. Includes: 1 hour bubble football • 2 hours food hall hire • 0-20 players • 10 bubble suits • football/bibs • variety of games • event coordinator • team photo • printable party invitations. Extras: party bags £3 per bag • sweet cones £3 per bag • extra 30 minutes playing time £60. Includes: 1 hour nerf party & 2 hours food hall hire • 0-20 players • guns for everyone • unlimited ammo • missions, challenges and games • inflatable barricades • safety foam darts • tactical vests •camouflage face paints • printable party invitations • group photo. Street, Disco, Break Dance, Cheerleading, Jazz, Football Anthems, Ball Room, Latin & Street or popular themes including Frozen, Star Wars, High School Musical or Disney Descendants...and more! Includes a birthday card and gift, water, sweets, balloons, props and themed prizes. For ages 5 +. One hour with the option to have an extra hour in the food hall afterwards.